With the prices of fuel shooting up faster than a "missile launch" in Ghana, you might wan't to keep an eye on this post if you have any intentions of combining fuel efficiency with luxury in your decision to purchase a vehicle for private use in this beautiful country of ours. Fuel Efficiency is a term used to describe the relation between the distance covered and the fuel consumed by a vehicle in covering that particular distance. Technology is gradually amending this definition anyway as manufacturers are improving vehicle features to improve fuel efficiency. A typical feature is the emerging trend of the ability of cars to run on their batteries for some few seconds before fuel is sucked into the engine. Mileage, as wikipedia simply puts "is literally a distance measured in miles" but is also a term widely used in the automobile industry to describe the fuel efficiency of a vehicle, measured in miles per gallon (mpg). Even though we are use to liters and kilometers than miles and gallons, the L/100km measurement does not really go down well with me. Just know that 1 mile = 1.6 km and 1 gallon = 3.8 liters (to 1 d.p.). Readers should please note that this list is just to serve as a guide in a car purchase decision. Cars which made the cut on my list were selected based on its price (relatively cheaper), it's presence in Ghana and most importantly, its average mpg. To check for the prices of each of these vehicles in Ghana, you can visit Google Trader. 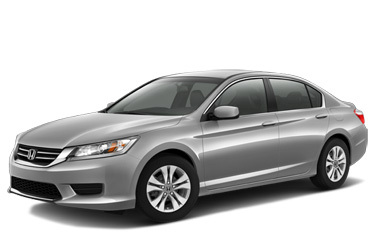 The Honda Accord Series has been one of the best selling cars in the US, and that to me means a lot. That aint the reason why it made the cut anyway, but this car is one of the most fuel efficient in Ghana. It flexes with a wide rage of engines, but i fancy the 2007 2.4L engine model. It has an amazing 28mpg for a sedan. It also comes with some cool features of which my favorite is its ABS brakes. Double Your Money In Ghana! A friend just called me this afternoon and said "economista, how long will it take me to double my money in a secured investment in Ghana?" I scratched my head, and promised him I'll fix him a post here. In recent times, radio adverts about some businesses promise a 100% profit over 12 months. Awesome! But let me make something clear: every investment has some degree of risk. It is mostly the case that investments with high risks pays higher dividends, other things being equal. The little financial engineering i know is very clear and vivid about risk and returns on an investment. Even investments we think is without risks has some degree of risks and i don't want to delve into risks today. For our discussion today, I would like you to accept the reality of risks with every investment. Now, we all imagine quick returns with every cedi we invest. We all wish, that if we put one cedi in an investment today, we wake up the next day and its two cedis. That is possible! Twenty-four hours may even be too much. Lets talk about what we all know already. You can buy a commodity for a price and sell it the next minute for twice the amount you purchased it. You can go sit at a casino, run some slots and in some few minutes, you can quadruple your money, or visit a betting center, place some few bets and if the odds go in your favor, you can end up with some huge returns. But don't forget that these outcomes are one in a billion (just guessing, but i guess you agree). But I have some good news. The Bank of Ghana has a 91 days Treasury bill (a risk free investment i must say) rate of 23.1195% (per anum), compounded quarterly. What this means is that, the BoG takes this 23.1195% and divide it by 4 (four quarters in a year) and at the same time multiply this 4 by the number of years you are purchasing the T/Bill. Let me try and break this down, because i want to be less technical as much as i can, but please, lets do some little maths here. 23.1195% divided by 4 will give us 5.78% (rounded to two decimal places). This is the rate which will be calculated on your investment at the end of every three months. Again, because the interest rate is for the whole year, and you are just investing for 91 days, it is the 91 days interest you'll earn out of the possible 365 days. Let me illustrate all I've said with a scenario. "Kofi has GHC 100 and he wants to buy a 91 days T/Bill at the prevailing interest rate. How much should he expect when his investment matures?" Investing his GHC 100, at the 23.1195% interest rate, Kofi will get GHC 105.76 at the end of 91 days, and GHC 125.20 at the end of a year, thus a return of GHC 5.76 and GHC 25.20 respectively, which is not bad at all. I say it's not bad for two reasons: this secure (i use "secure" because it is) because they are government bills and secondly, the interest rate is better than most mutual funds! But, this will favor only the rich and businesses who have thousand of GHC to invest. I don't mind getting GHC 25.20 on my GHC 100 at the end of the year, because most mutual funds will give me less than that, and in a layman's perspective, it will take almost 4 years for Kofi to double his GHC 100 in a risk free investment in Ghana, other things being equal. I say this because, interest rates fluctuate every time, with the BoG regulating it in conjunction with it's economic and or monitory policies.